Mourad Sta is a Tunisian Olympian who featured in the table tennis men’s singles and doubles events at the 1988 Seoul Olympic Games in South Korea. In the doubles, he partnered Sofiane Ben Letaief and from there he rose to become the national coach and later the Technical Director of the Tunisia Table Tennis Federation (TTTF). 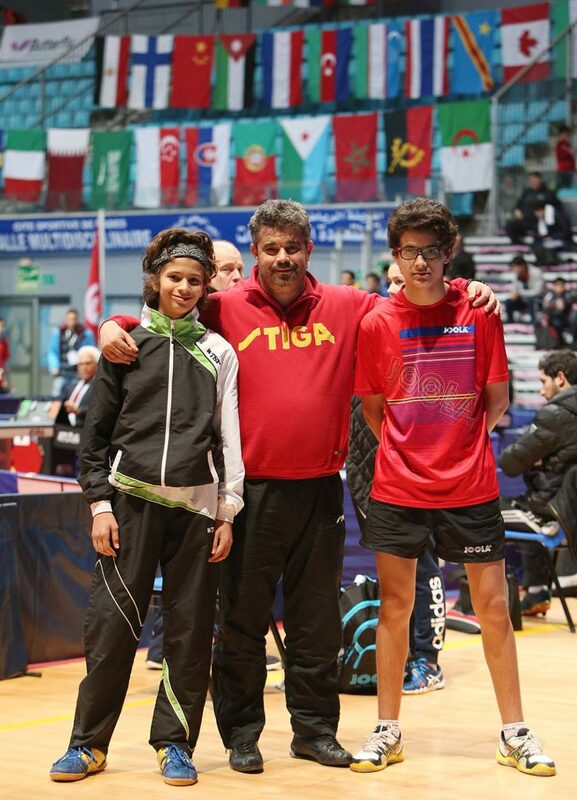 Now Mourad Sta is the Vice President of TTTF and now his wards – Khalil and Mohamed Amine wanted to emulate their father by becoming an Olympian as well as rule the sport in Tunisia. Narrating how they started their romance with table tennis, the 16-year-old Mohamed Amine said: “I saw all the pictures of my father when he won several medals as a national champion in Tunisia. Also I noticed that he travelled a lot playing table tennis and so we decided to convince him to let us play table tennis. My brother and I did not really start early like our colleagues because I was 10 while he was eight when we started. So our father became our coach and he started taking us on the basics of the sport. We fell in love with the sport particularly the excitement that table tennis gives us. We wanted to achieve what he has achieved particularly to play at the Olympic Games. We were also fascinated with the idea of travelling,” said Mohamed Amine Sta. A journey that started six years ago has earned Mohamed Amine and Khalil places in the Tunisian junior national team. Now Mohamed Amine is among the top four U-18 players while Khalil was part of the Tunisian team that won bronze at the 2017 African Junior and Cadet Championship. However, one thing that singled out the Sta brothers was their head band. For Mourad Sta, training his wards has not been without any challenge. “When we started I told them that as a coach I will be hard on them unlike a father but they used to caution me not to be too hard on them. I must also admit that it was a bit difficult to be a father and a coach for your children. Apart from playing table tennis, they take their studies serious as they are among the best in their schools and this for me motivated me to teach them the basics of table tennis,” Mourad Sta added.